With the arrival of spring, the traditional flowers of spring time begin to bloom. Tulips are a part of the lily family of flowers and signify spring’s arrival. Today, there are over 150 species of tulips with over 3,000 different varieties. Tulips are simple, yet fun, flowers to create with Wikki Stix. Wikki Stix comes in a wide variety of colors for kids to choose their own special colors for brilliant spring tulip crafts. Come create, build fine motor skills, and learn a little about the parts of a flowering plant with Wikki Stix! Set out the green and assorted colors of Wikki Stix, scissors, and the mounting paper on a table or tray. Kids are curious and naturally drawn to bright and creative colors of supplies. By creating a colorful invitation to play and create, kids will begin to experiment with how to make their own tulip crafts. Kids can design their own tulip stem, petals, and leaves or they can follow the simple instructions below. Some kids like to see a visual before designing and creating. You can print the photo of the Wikki Stix tulips, if desired. 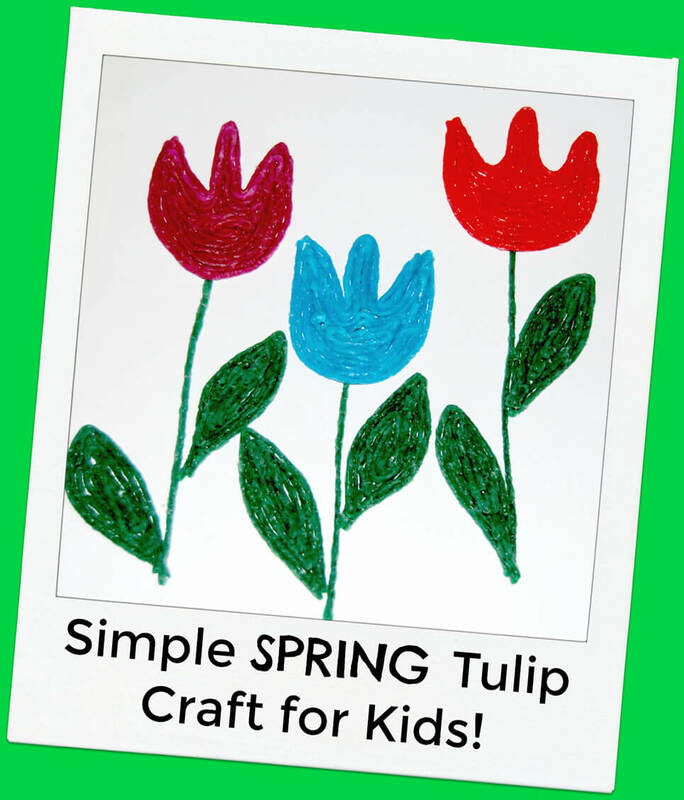 The simple spring tulip crafts are fun for mixed ages of kids to create together; siblings of different ages can create side-by-side. 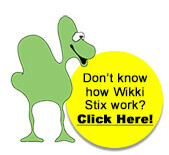 Kids can firmly press a green Wikki Stix on the mounting paper for the stem. Using the desired color of Wikki Stix, kids can make a U-shape as shown in the first photo above. Kids should then create a W-shape to resemble the tulips petals. To finish the tulip, follow along the created outline of the tulip, and then fill-in the shape with additional Wikki Stix. 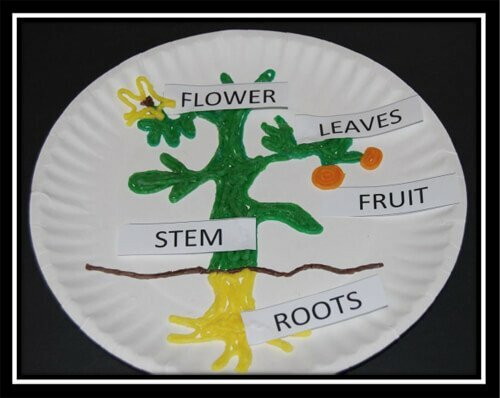 To help kids learn more about the parts of a flowering plant, print the free lesson plan to use with Wikki Stix after kids create their tulip crafts. It’s an awesome way to include learning, fine motor creation, and fun play time into fun spring crafts.